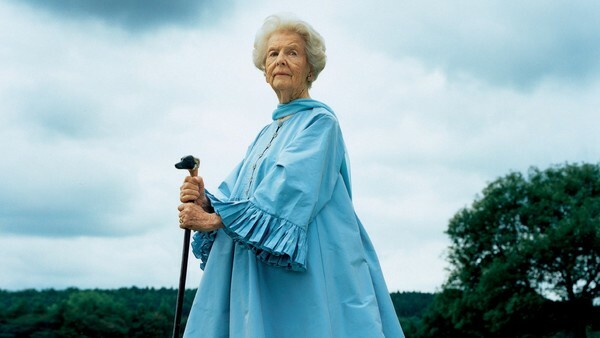 One of the most anticipated auctions this year is Sotheby's forthcoming auction of the personal items of one of this century's most remarkable women, Deborah, Duchess of Devonshire. 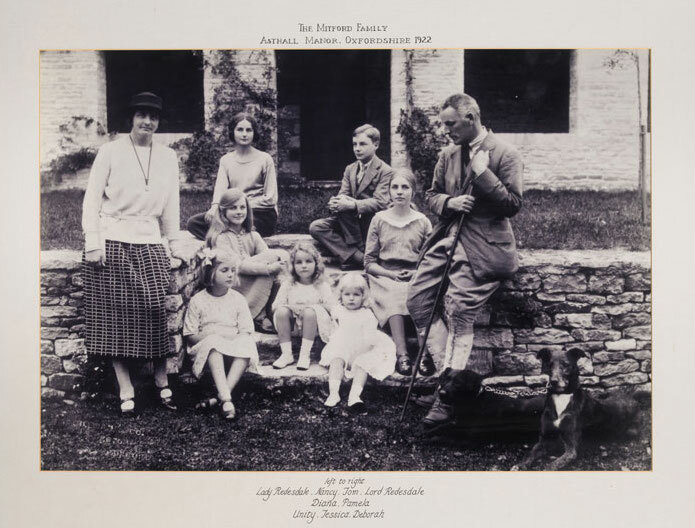 It seems strange to think she's gone, after such a long and extraordinary life as one of the legendary Mitford sisters, and even stranger to think that her beloved things are now being auctioned. But she was so adored by the public, and if some of the contents of her final home The Old Vicarage at Edensor on the Chatsworth Estate can be sold to raise money for estate of Chatsworth, why not? I always regret not meeting her before she passed away. A contact at Heywood Hill bookshop in Mayfair (which the Devonshires bought in recent years, in order to save it) kindly said he would make arrangements for me to visit (it was for a forthcoming book on gardens, one of the Duchess' passions), but in the end she wasn't well enough. A friend of mine in the US dated Elvis for the briefest of periods (she was very young at the time!) and I had some great stories about Elvis to tell her (another of her obsessions). But it was not to be. I probably would have been too shy to converse much anyway. She really was one of the most interesting, most inspirational businesswomen of our time. The Financial Times (FT) has recently published a wonderful piece about the sale here. And Sotheby's has another, smaller, article about 'Debo' (as she was called) on its website here, as well as a glimpse at a few of the pieces going to auction here. The sale includes exquisite jewels (some gifted to her by her husband and his parents), a rare copy of Brideshead Revisited personally inscribed by her friend Evelyn Waugh, plus fine and decorative art, and (something I'd love to view) the contents of Duchess of Devonshire’s library. More details of the sale, including the pieces in the photos above, on Sotheby's website. 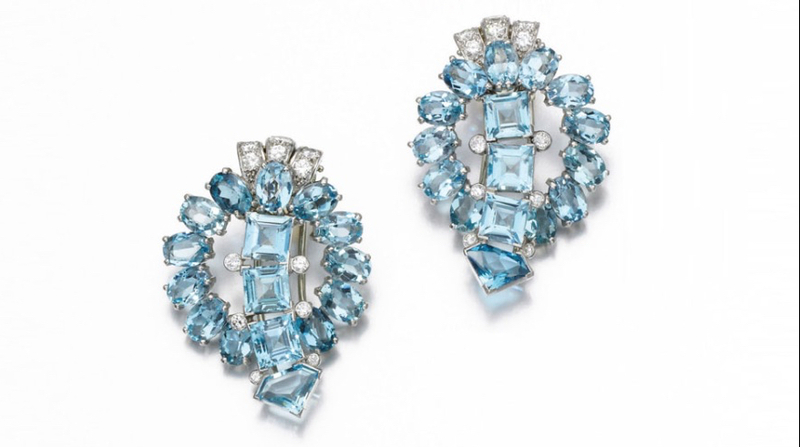 The auction is at Sotheby's London, March 2, 2016, with pre-sale viewing from February 27 -- March 1. 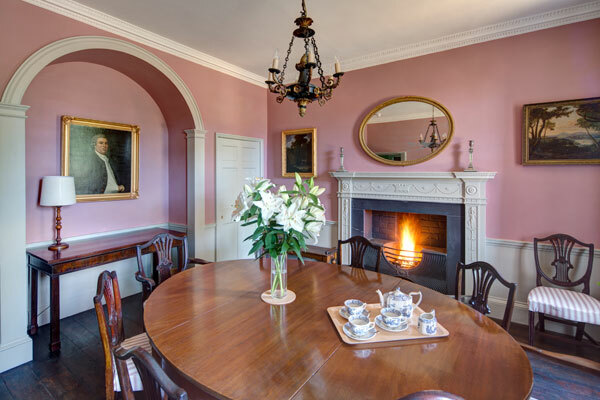 One of the most popular places to stay in England isn't a hotel but a small, relatively unknown Landmark Trust property known simply as 'Belmont House'. 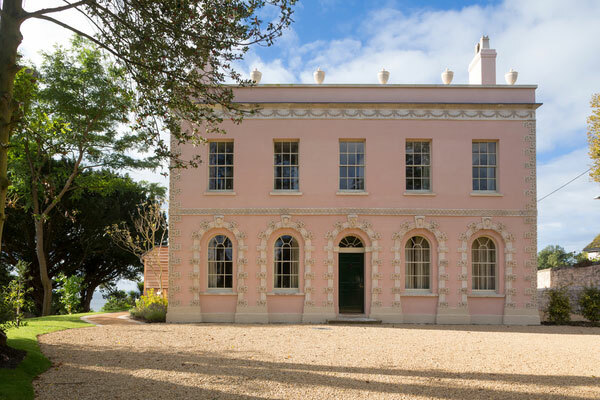 It's an exquisite, pale pink, 18th-century, Grade II-listed villa in Dorset that was once owned by businesswoman Eleanor Coade and more recently the author, John Fowles, whose books include The French Lieutenant's Woman. For those who would love to see it but can't wait until 2017, there is a rare Open Day on the weekend of Saturday 13 and Sunday 14 February 2016 , from 10am to 4pm each day. No booking is required. More details on Belmont can be found here. It looks beautiful. 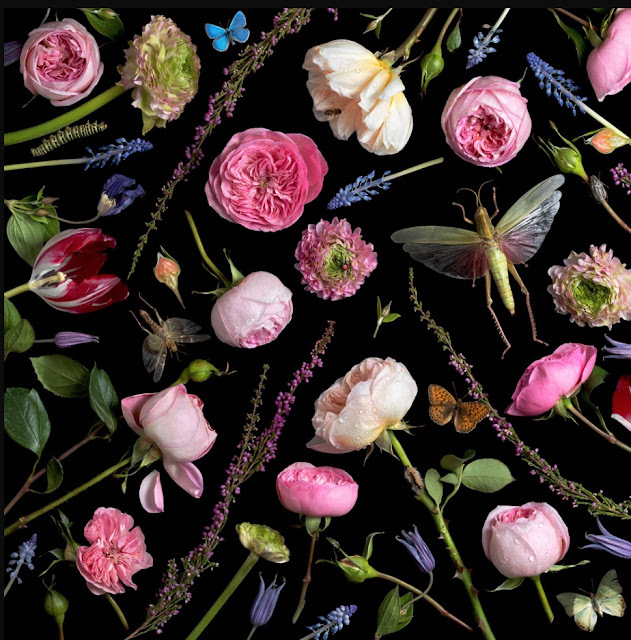 The first major exhibition of French textile house Maison Pierre Frey since 1935 opens at the Musée des Arts Décoratifs in Paris this month. 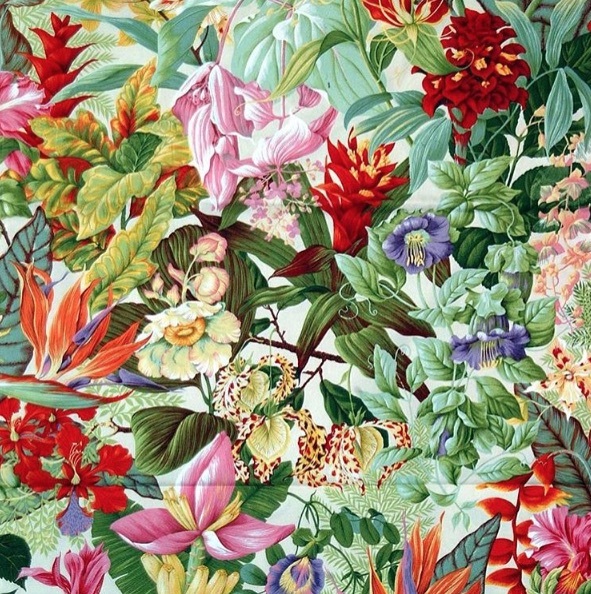 The show features many of the famous fabrics produced by Pierre Frey as well as the stages and techniques involved in creating and producing a textile, from the sketch to the finished product. It's set to be a fascinating show about fabrics, but it also covers wallpapers, and how they're conceived, created and produced. Knowing Pierre Frey, there is certain to be awealth of patterns, colours and information on display. 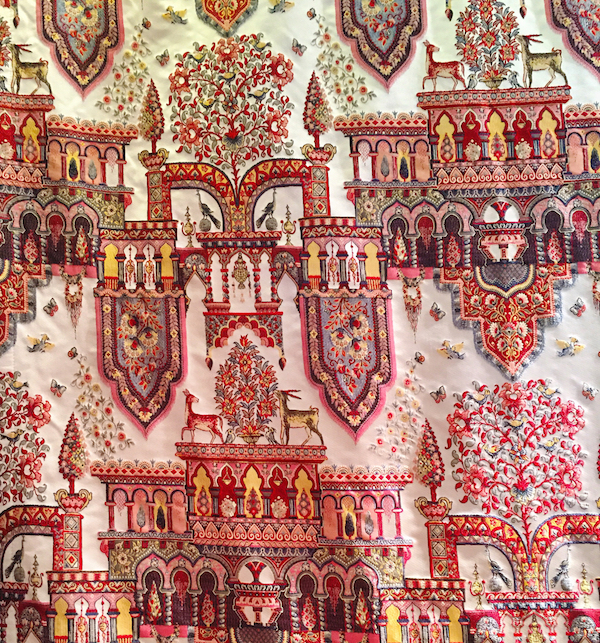 Musée des Arts décoratifs from 21 January until 12 June 2016. 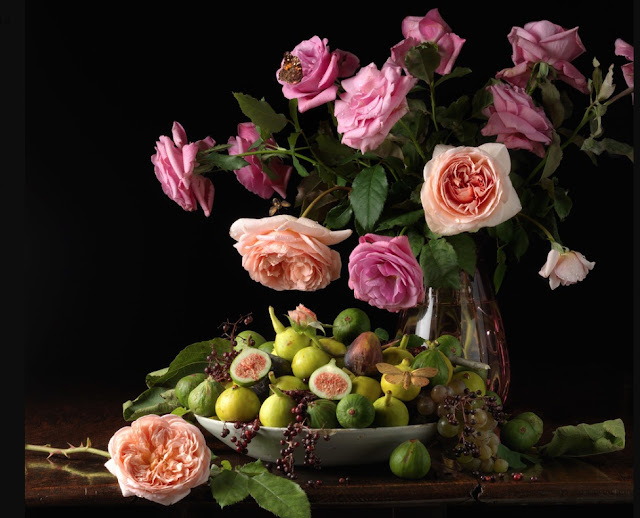 There is a quiet but highly scented new trend sweeping England, France, the US, Australia and other international destinations. And it's all to do with botanica. In this grey, urban, high-tech world, we're turning to a new kind of therapy to offset it all: Petal Power. I'm currently working on an ambitious new garden book, but my project is daisies compared to some of the extraordinary floral and garden projects being seen around the globe at the moment. I'm finishing writing two books but will be back to IG next week, once the deadlines are over. 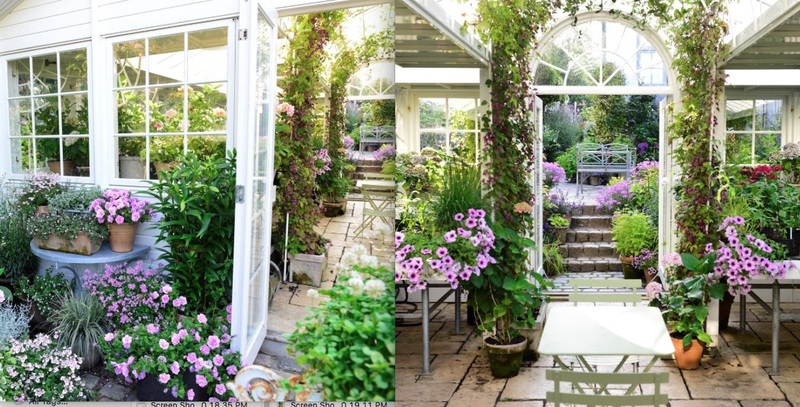 Do you follow Claus Dalby and his gorgeous garden on Instagram? I've written about him here before, but his photographs are becoming more and more beautiful with each passing season. Claus is a Danish plantsman, publisher, author, florist, photographer and an all-round lovely man man whose Scandinavian garden is arguably one of the best private picking gardens (flower gardens) in the world. 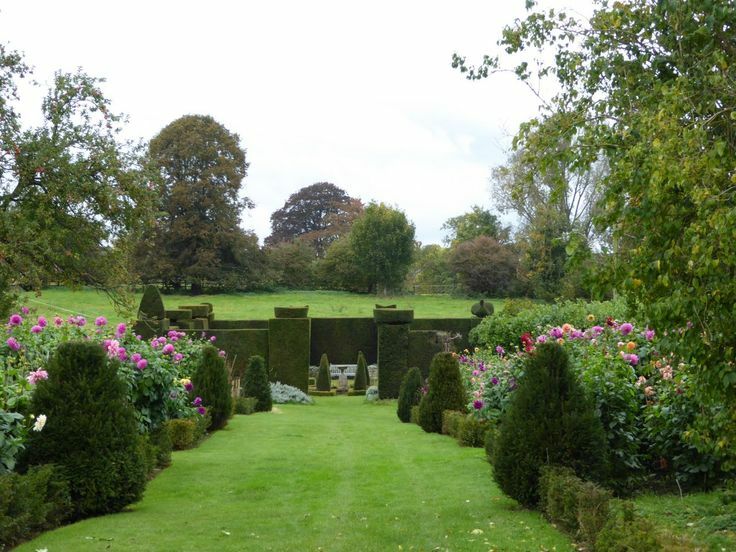 And the even better news is that Mr Dalby is also working on a book, which will detail the whole development of this grand garden over the years. The image above is the entrance to the garden. Glorious, isn't it? Here are some further images from his Instagram feed. The room above is his 'vase room' (this is half the space). It's interesting how most of the vessels are green shades. Perhaps they highlight the flowers better than more neutral-colored or glass vases? 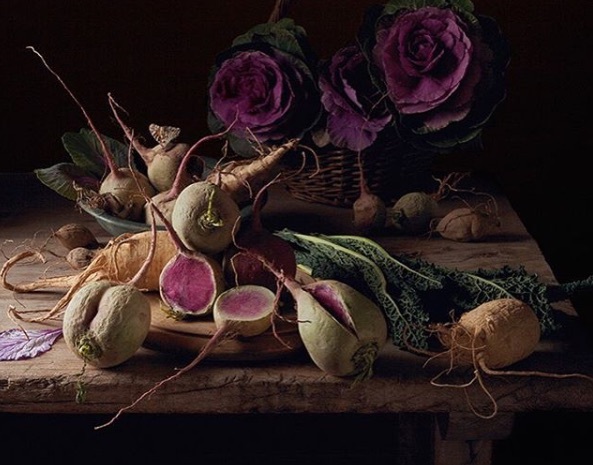 More of Claus Dalby's beautiful images can be found here . 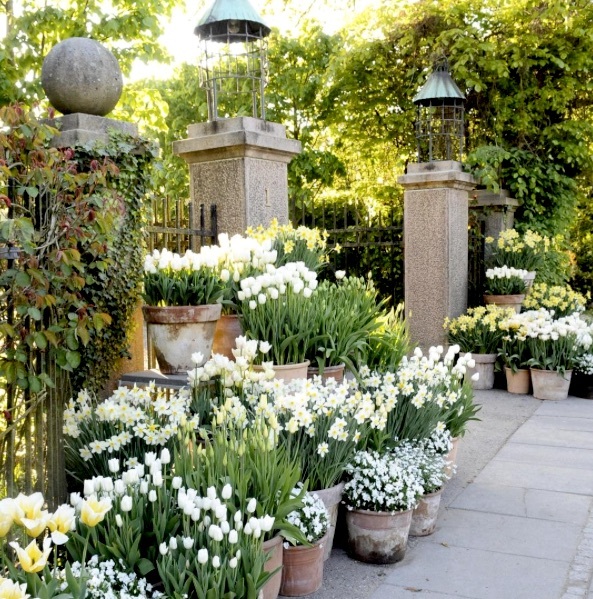 Many of them are his flower arrangements, which are just as superb as his perennial beds. Another Instagram feed worth following is The Land Gardeners, the business name for two floral entrepreneurs whose skill with arrangements is almost more impressive than the Oxfordshire garden and manor house they do it in. Henrietta Courtauld and Bridget Elworthy established The Land Gardeners in order to grow organic, quintessentially English cut flowers. Each week, they deliver buckets of blooms to London florists, local markets and individual clients. However, they also design gardens -- "wild romantic, productive and joyful gardens", says their wild, romantic, joyful website- - and they've already finished projects in England, France, New Zealand and Zimbabwe. Forthcoming workshops include Grow Your Own Cut Flowers (Edwardian cutting gardens are very 'in' again), Planting a Dyers Garden and How To Grow Edible Flowers. For more details, see http://thelandgardeners.com/learning--events or THIS LINK for details. 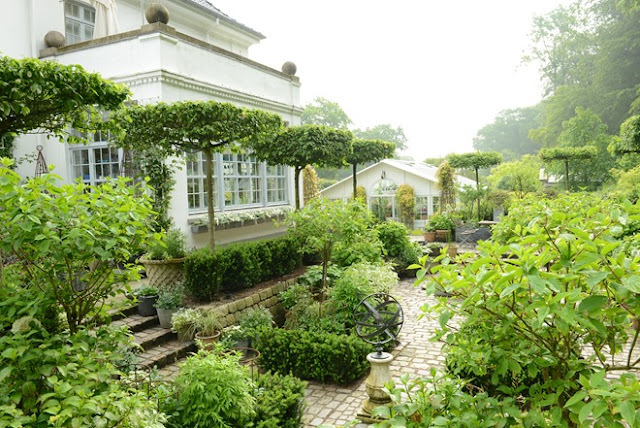 The Chelsea Flower Show has seen some astounding show gardens over the decades, including one by the house of Chanel. (Still my favourite.) But the masterful, magnificent garden planned by Harrods and Orient Express for this year's show looks set to be one of the best yet. The grand centerpiece will be a 25-m (80-foott) -long carriage from 1920s Belmond British Pullman (sister train to the legendary Venice-Simplon Orient-Express), which will be 'parked' in a special Chelsea Flower Show train station that will be surrounded by a a 6,000-square-foot garden. There will be two platforms, with Platform 2 featuring rare jungle ferns and other exotic, eye-catching plants. 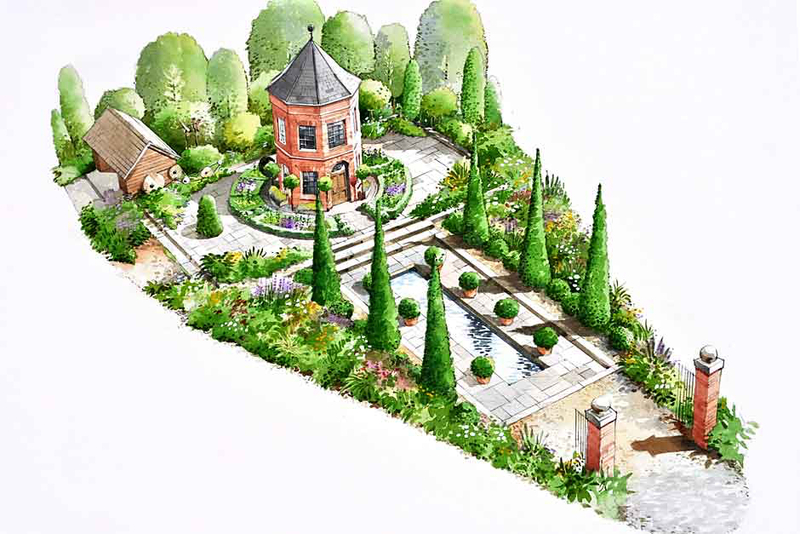 It's all designed to represent a 'journey through gardens' over the centuries. Very, very clever, indeed. 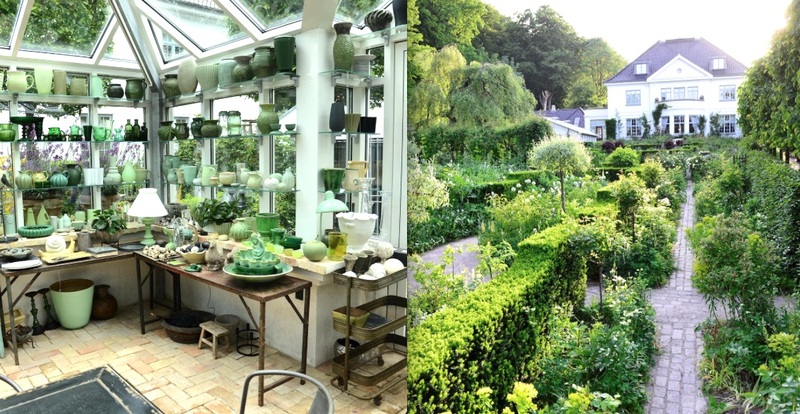 There is also a garden called ‘The British Eccentrics Garden’ (above), which looks like being one to watch as well. More details on Chelsea can be found HERE. Did you catch the period drama Indian Summers on Britain's Channel Four or in the US or Australia last year? (It's now on DVD if you didn't.) It was so successful that a new series has been commissioned and is currently in production. It's an epic drama set in the summer of 1932, at a time when India dreamed of independence, but the British were still clinging to power. The series revolves around the events of a summer spent at Simla, in the foothills of the Himalayas, by a group of British socialites at the time of the British Raj. The producers looked at filming in Simla, but eventually decided, due to logistics and monsoons, that Georgetown on the island of Penang would be better. (NB Because of this series, I now want to see Georgetown, which has been declared a UNESCO World Cultural Heritage Site, and so do thousands of others, judging by the increase in visitor numbers!) Executive producer Charlie Pattinson found their perfect setting on the VERY LAST DAY of their five-month scouting mission, after many countries and countless sites. It was at the top of Penang Hill, in Malaysia, where the wealthy had built hill stations to avoid the heat. It was a semi-derelict house that was hidden by jungle overgrowth but that clearly showed the remains of a grand floor plan and garden. It took the team some time to hack through the jungle to fully assess it, but when they at last emerged from the overgrowth, they knew it was going to make the whole show. 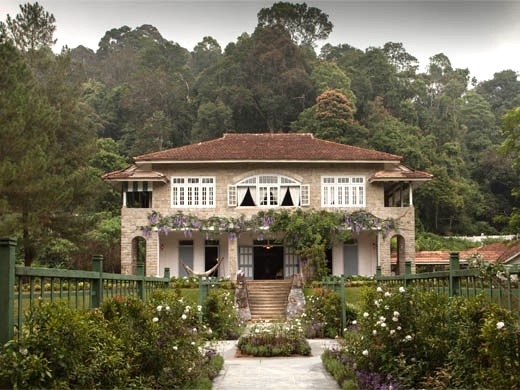 Woodside Bungalow, as it is known, was always going to take a lot to restore, and so Penang’s chief minister, who knew the colonial property and its architectural neighbours from his childhood, stepped in to assist. He found the funds and became personally invested in the project. After several months, and great deal of painting and replanting, the house and garden were ready to be filmed. It was renamed 'Chotipool', and can be seen above, serving as the home of Indian Summers' central character Ralph Whelan and his sister Alice. Isn't that a great story of two great houses and gardens, lost to the world and then rediscovered just in time? More details on Indian Summers' setting can be found HERE. Let's hope they commission a third and fourth series, and it becomes -- as the media are suggesting -- the next Downton Abbey. Well, Paulette Taormina has, not surprisingly, gathered a following and is now producing a limited-edition book on her work, which is available to pre-order. There are also exhibitions and workshops planned for 2016. Here are a few more extraordinary studies from her website. Do go and have a browse, and then make a note to look for the book. More details can be found HERE or on Wikipedia. More floral posts shortly! Until then, I hope you're all having a wonderful 2016!